Special for Mostra Convegno Expocomfort. Interview with Riccardo Fava. For the 40th edition of Mostra Convegno Expocomfort 2016 - point of reference for global comfort technology, business and professional training, concluded in Milan on 18 March - Chief Executive Officer and General Manager Dr Riccardo Fava released an interview in which he talks about Baltur’s values and the milestones of the company’s success. What are the distinguishing characteristics of Baltur and the values that inspire its management? The distinguishing characteristics are passion for one’s work, sense of ethics, absolute dedication to the company - which we see as our family - and continuous efforts to improve and to achieve excellence in what we do, understanding that every goal reached is a new starting point. This is necessary to be competitive over time and across generations. Our fundamental values are commitment and responsibility in all that we do every day. One of the characteristics of Baltur is that of being recognised as a point of reference for our professional dealings with our stakeholders. There are many entities that interact with our company on a daily basis: employees, customers, suppliers, banks, institutions, schools, consultants, and people and companies with whom we collaborate in general. The behaviour and conduct of the company and relationships with all these entities have always been based on an ethical sense of professional interaction and responsibility, as I noted previously. Today, Baltur - and I say this with pride and satisfaction - is ranked as one of the most trustworthy companies in Italy under all points of view, according to statistics compiled by certified institutions. It is an extremely solid company, capable of producing results, both from an economic and financial point of view, guaranteeing autonomous development and capacity for investment. In fact, today we invest about 4% of sales in Research and Development, self-financing the full amount, and this guarantees two fundamental aspects: the ability to provide innovative products for our customers, and solidity in the market, because Baltur does all this with its own resources. How is the company climate and organization? The company climate is truly that of a big family. An owner is constantly present in the company, guiding it on a daily basis, and doing it through a structure that has been built over time, a management structure with clear areas of responsibility and competence, a hierarchical and governance system that is clear and well defined. Company reporting is monitored and verified on a monthly basis by management and by the Board of Directors, which is always informed and involved so that it is fully informed about how the company is going and the objectives everybody is focusing on. As Chief Executive Officer of Baltur I defined a multi-year plan, a planning document that is well known by all and that outlines the company’s strategic development over the next few years. Within Baltur, people are seen as important assets and appreciated as such. The same care is shown when it comes to relationships? Can you talk to us about that? Without a doubt Human Resources are a fundamental strategic lever for the company. Companies are made of people and their behaviours, commitment, and contributions are critical for getting results and improving over time, so Human Resources must be stimulated, addressed, motivated, and gratified. Years ago, I carried out a demanding analysis that gave excellent results, during which I set up a bonus system for our employees - one of the most important in our province and in the region - with performance bonuses and supplements that are paid out in addition to the regular income. This contributes to the company climate, generating satisfaction and a sense of belonging. The same attention is given to union relations, which are fluid, closely followed, and constant. The same personal and value relationship is maintained with Baltur customers, right? 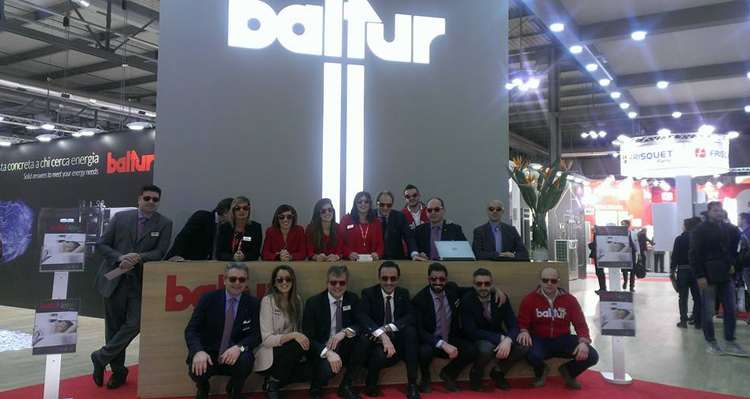 It is one of the strengths of a family company that is big but not enormous, that in reality Baltur has some particular characteristics and a particular value. Our relationship with the customer - starting from the top - is very close, creating strong loyalty. It is clear that our customers have expectations that must be met from every point of view: competitive pricing, product reliability, completeness of range, and services of various kinds associated with the product itself. They are all legitimate expectations for our customers, current or potential, and we seek to satisfy them in the best possible way, with that attention and method that are common to family businesses. Baltur is a solid company, rooted in the local community, but at the same time innovative and looking to the future. How does one achieve this balance? Lots of work and a mind open to changes when necessary. If you are able to combine the aspect of a family business with updated competence and open to innovation, the company acquires new strengths. But you need to have this attitude. What are the key points in Baltur’s history, the crucial milestones that marked its success? Certainly having these values and attitudes over time and knowing how to make some critical choices at certain points of Baltur’s history. There are two of them in particular: internationalisation and product diversification. In the 1990s Baltur chose to become an international company, a time when nobody would have suspected such a thing, when the opening up to the rest of the world by Italian companies - at least mid-sized family businesses - was not yet very common. We did it. We started getting into foreign markets, which, in the following years, generated the conditions for important company growth. Today our turnover comes 70% from abroad, China at the top of the list. So, internationalisation, certainly, and then, at the end of the 1980s, having made another important decision to diversify our product, in the right way and at the right time. In fact, Baltur started as a manufacturer of burners, and this is still our core business today. In the 1980s, however, we invested in other activities and produced new products - first, gas water heaters, and then renewable energy heaters, heat pumps, solar panels - which became more successful in the following years. Today, in fact, Baltur sells to customers throughout the world. When did this change happen and what are the forecasts for the future? The most important growth and acceleration were achieved - with great effort - precisely in these years of great recession in the domestic market and Europe in general, from 2007 on. In 2006 we had the opposite situation: 70% of sales in Italy and 30% from abroad. In eight or nine years we shifted from 30% to 70% of foreign sales, growing also in absolute terms. 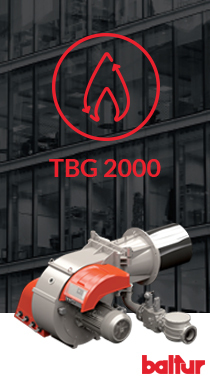 Today and in the near future, regulations are correctly pushing in the direction of renewable energy sources due to the known problems with greenhouse gases and emissions, so we will develop and offer - as we are already doing - machines with better performance and extremely low environmental impact, with significant energy savings and increases in performance. Baltur’s investments are going in this direction: making products that are always on the cutting edge, reliable, and eco-friendly, as called for by the multi-year Baltur strategic plan.